Would you love getting help from your neighbourhood without even going out & actually interacting with them? If the answer is yes, then you have landed at the right place. Google has one app that can do that & you don’t even know if something like this could exist. 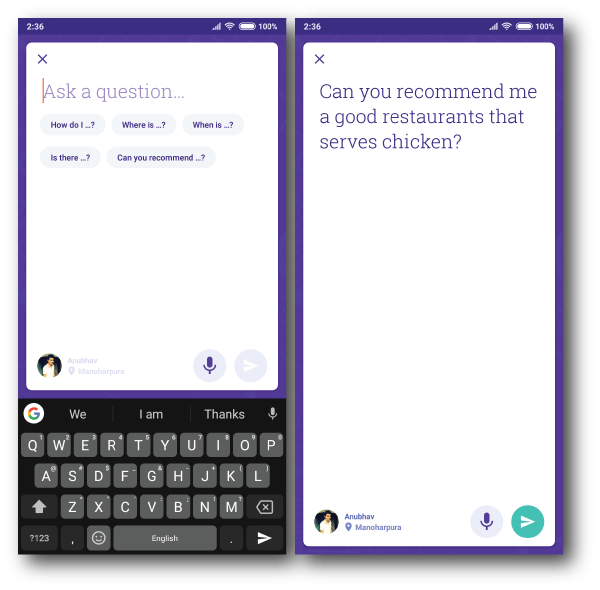 Earlier this year, Google has announced & started beta testing a crowd-sourcing app that helps people getting locals suggestions/answers on their queries. This app is called Neighbourly. Neighbourly is a platform that allows you to ask questions directly to your neighbours using the app, without sharing who you are. Let’s find out what more you can do with this app & how does this app works! At times, you might need to look for something in your neighbourhood & the only way to find that out is by exploring your neighbourhood by yourself. With Neighbourly, you can skip that part since sometimes exploring your neighbourhood can be a time-consuming task. And it’s not always that you ended up finding what you need. 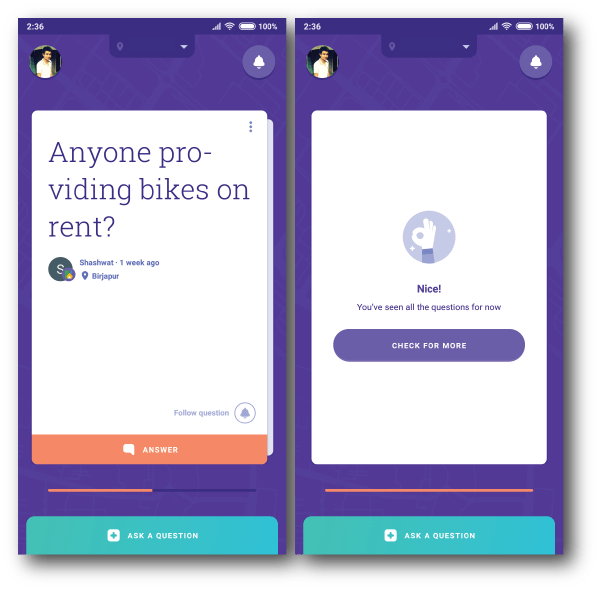 Neighbourly allows you to post your questions, like ‘Where can I get good Economics coaching for my child?‘, ‘How to reach the nearest subway via road?‘ etc., You can ask anything that you think you can get answered from your neighbours. Since your neighbours know the local activities very well, you’ll definitely get a trusted answer on your query. 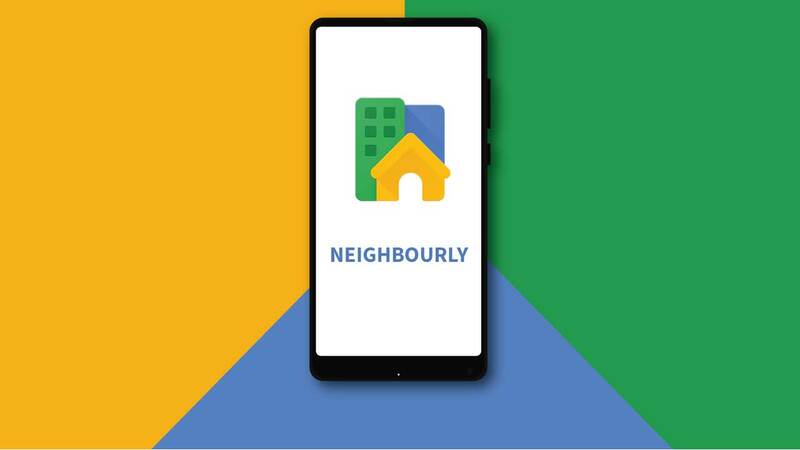 Neighbourly is simple to use app, that is developed keeping in mind that everyone can use it without any complications. After signing up for the app, you will start seeing questions directly from your neighbourhood in form of cards. You can either follow these questions or if you know the answer, you can reply directly & make your contribution. These questions will be based on your location, where you can add 3 different areas/locations & switch between them to see questions from that locality. You can also ask your own questions & get it answered by your neighbours. The best part about this app is that it will not share your identity & you are virtually anonymous to the community. The app will notify you, if someone from your area posted a question. You can also report questions & answers, if they don’t fit the community standards. You can also follow a contributor & like their answers, if they are good & answers the question. You have an option to use your voice to ask a question or answer a question in your own language. Unlike Google Opinion Rewards, Neighbourly isn’t giving you any credits for helping your neighbours, but you can earn your own place by giving valuable contribution & get medals against it. Each answer will add up to your contribution. 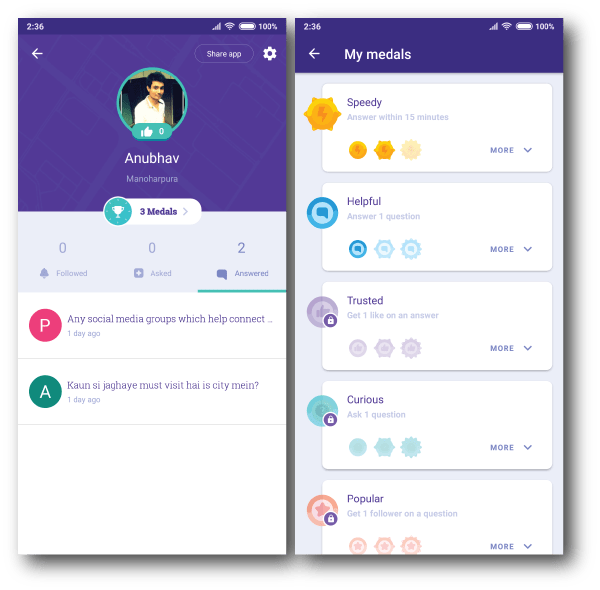 App will provide you medals based on how fast you answer, how many likes you are getting on your answers & how many questions you’ve asked. If your answers are getting more like, Neighbourly will give you a trusted tag, to ensure the credibility of your answers. Apart from this, If you allow, Google can also contact you for research & marketing purpose. WHO SHOULD BE USING NEIGHBOURLY? If you are a frequent traveler & want to travel solo, you can use this app to get answers to your local queries. If you have recently shifted to a new place, then you can use this app to get to know your neigbourhood better. Seeing the scope & functionality, this app has a lot of potential in near future. This app is still in its beta phase & gradually growing so that it can cover more localities. Apart from that, the number of users seems very less & a little amount of audience is aware of this. Only if this app could get more exposure locally, it can turn out to be a game changer. Click here to know more about the app that pays you for giving your opinions! What do you think about this app? Have you ever came across any such app in past? Do let us know via a comment. 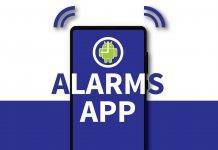 Previous article5 Alarm Apps that will definitely wake you up! 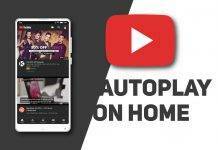 Next articleYoutube App for smartphones gets Autoplay on Home feed!